The first TARPN work one should do is get a single port node working, talking to another local node. Maybe you'll make two single port nodes and have them talk to each other across a desk. If the two nodes are very close, some of the finicky audio adjustments don't have to be so exact. If you have an oscilloscope on the bench, you don't need the dedicated scope? Maybe? 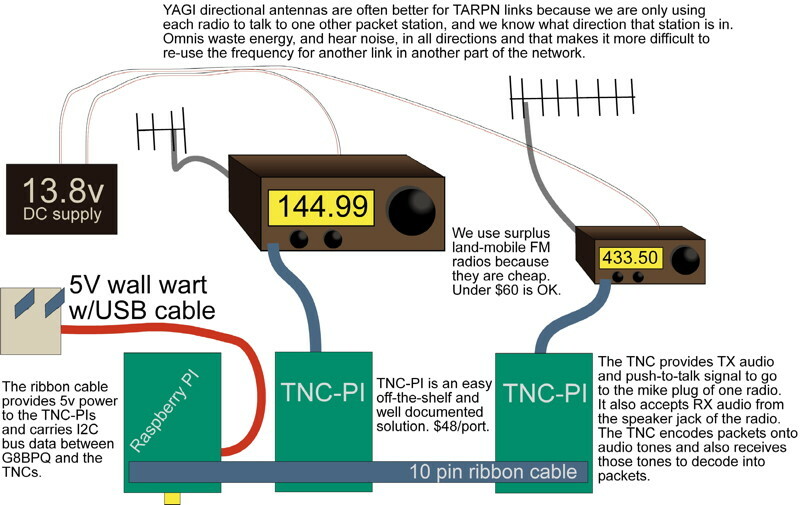 This is the block diagram and an example of a very simple two port node. No frills. The photo below is of a minimalist 2 port node, matching the block diagram except that the 5V supply is not shown. KF4EZU, who operated this node for two and a half years, has all sorts of redundant radios and test equipment. However, eventually his node is installed and updated in a box having the oscilloscope and the monitor speaker. It's just much easier to get things perfect if everything is there to make it easy to do so. Murphey's law, or at least the Finagle corollary, says that if you have a piece of test equipment laying around, the bug that test equipment would find won't ever happen. Here are photos of KF4EZU's minimalist node and antenna system. 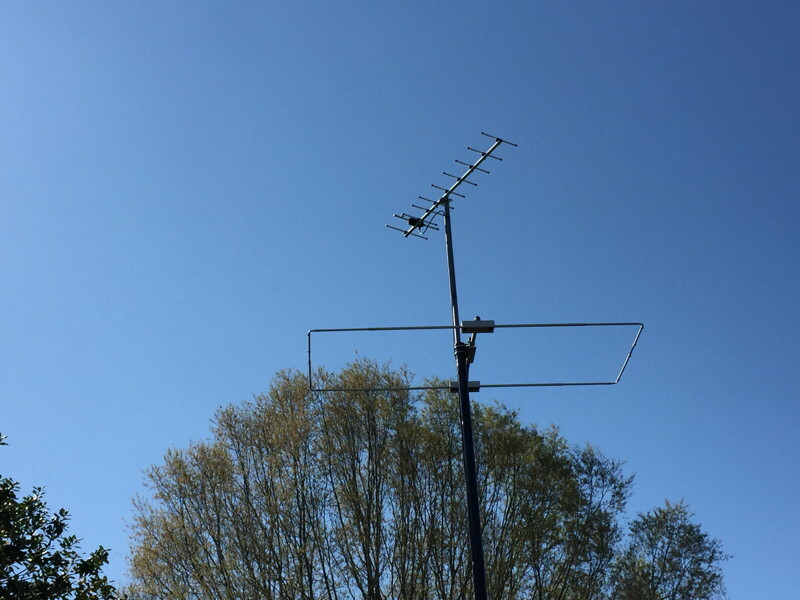 The antenna system here is a home-made 6m Moxon made by WA3UTC and NC4FB, pointed at FIN node, and a Diamond A430S10 10 element yagi pointed at BILLY.